A Style That Suits Every Home, Every Office, Every Lifestyle! Whether you want to replace your existing windows with a style that mates, or create an entirely new look with a wide number of options in design, SAGE Flexi Trade can help you find precisely the service you’re looking for. SAGE Flexi Trade provide assistance to all residents of Liverpool, the North West and Merseyside, and you can enjoy the added benefits of our services to add value, style and comfort to your workplace or home. You can either choose from the list of traditional styles that we have offering you solid or highly decorative glass panels, or go for the modern-style profile door that comes with a very exclusive range of configurations. SAGE Flexi Trade glass entrance doors can be complemented with high security glazing systems which retain the matching side panels, or any other style that you may fancy! 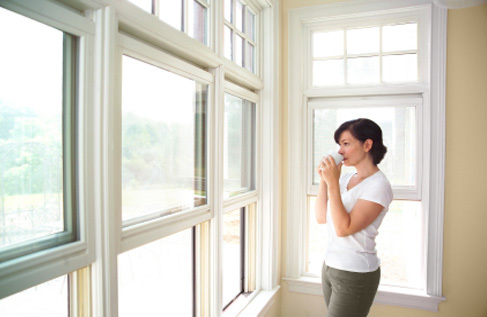 You can choose from a variety of styles and glazing options, and make sure that you new windows and doors look impeccable, without lacking ease of use and security. You can use traditional French doors to make the most of your patio or garden, and our experts will help you install them in any location within the North West, Liverpool and Merseyside. We cater to a large range of varying requirements, and our great collection will allow all our customers to achieve their desired results. Our glass and glazing services will make sure that your home or office doors and windows are secured, while looking absolutely remarkable. A rock/composite door is an exterior door made from a variety of materials, allowing homeowners such as yourself to combine the best of both worlds; the classic, stylistic appearance of a wooden door intertwined with the ultimate strong physical properties of combining wood with glass-reinforced plastic (GRP), Timber and insulating foam. The phrase ‘composite door’ is now almost synonymous with ‘entrance door’, which is unsurprising considering their fantastic resistance to extreme weather conditions and thermal insulation. With an attractive wood-grain finish in your choice of colour, composite doors are the ultimate facelift to any home exterior but without the difficulties associated with a wooden door. Requiring nothing more than a wipe down if a composite door becomes dirty, a composite door is more or less maintenance free. What’s more, don’t expect a composite door to fade in colour! Bi-fold doors are doors that slide open while the panels fold up and stack neatly against the wall – like a concertina. 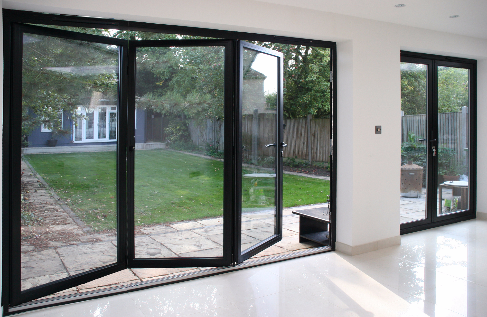 Bi-fold doors often connect rooms to an outdoor area, such as an entrance to a garden or conservatory, but they can be used for a variety of purposes. Typically, a bi-fold can have anything between two to seven panels that are connected with hinges and attached to rollers at the top or bottom. Often a bi-fold will feature a traffic door. This is a door at one end of the bi-fold that opens like a standard entrance door, allowing continued use of the bi-fold throughout the colder months without having to push all the panels back. Bi-fold doors can offer spectacular views to outside. Aluminium frames support large glass panes and offer slim sightlines for an unimpeded view, compared to traditional patio doors. As well as being a great investment, a new conservatory is one of the easiest and most cost-effective ways of adding more space to your house. We can build Traditional, Edwardian and Victorian styles with either a dwarf wall or full height design to suit any home. Call our experts with your requirements now!